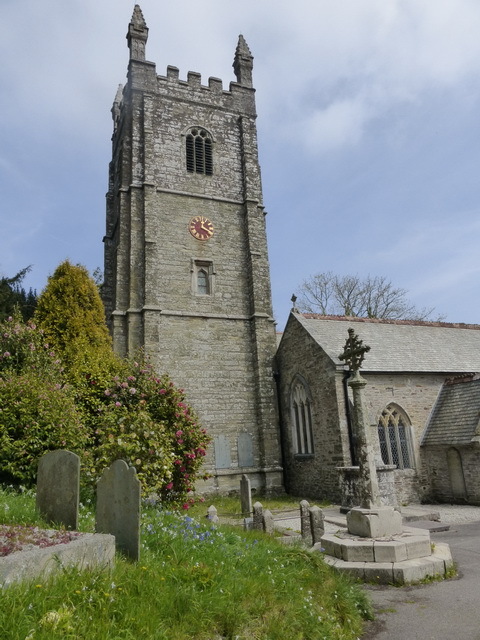 St Keyne stands in a suburb of Truro and was originally the main parish church of the small town being the seat of the bishop for the short period between the creation of the see and the building of the cathedral. There is something slightly soulless about the church. It has been well-repaired but the pews are nothing special and there is 20thC modernity to it which destroys the historic feeling that one usually feels in such a space. A few pieces of medieval carving cheer the place up and the well just by the tower hints at a past but even this has been Victorianised so that it has lost feeling. Outside, the cemetery contains the tomb of Joseph Emedy, Cornwall’s first black musician who rose from being a slave to a musician on the fleet and finally in the salons of Cornwall. The early lych gate has been adapted, perhaps as a school room, and is an unexpected slate-hung building.